If one was to conceive of an excellent all-purpose fullsize revolver today, what would it look like? It would be first durable, and reliable, have 6 or 7 shots, and be chambered in .357 Magnum, allowing the use of .38 Specials, of course. It would also be very accurate, and have an action that would be hard-wearing, and would maintain its smooth, manageable trigger over a long time. As you are probably already thinking, this revolver is not a fantasy. There have been many legendarily excellent wheelguns come and go over the years, but few have codified the modern revolver as well as the Ruger GP100 and Smith & Wesson Model 686. Aside from being two of the most common among fullsize revolvers, both are renowned for their accuracy and reliability. Argument rages this very second over which is superior. Is either superior to the other, or is this one of the classic “six of one, half dozen of the other” arguments? In this article, I’ll examine the strengths and flaws of each and let you decide. The 686 is mostly a refinement of the S&W’s iconic revolver pedigree, established with their K/L frame revolvers. The frame, cylinder release, sideplate, and crane arrangement are unmistakably S&W. 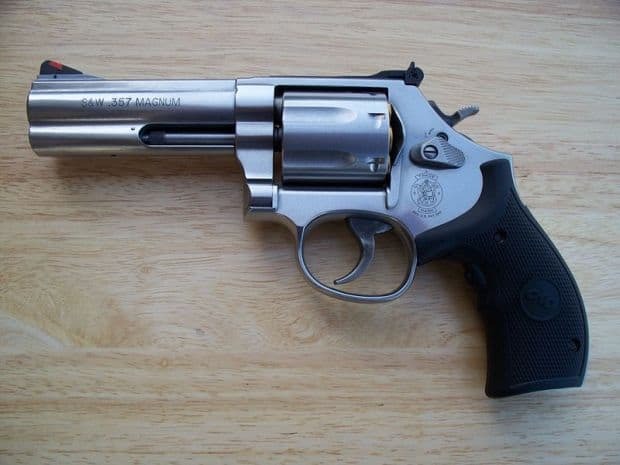 In this instance, the L frame of the 686 denotes a medium-large frame, and is typical of modern, fullsize .357 Magnum offerings from Smith & Wesson. The 686 first debuted in the 1980’s alongside the Model 581, 586 and 681. Since then, there have been several design revisions tweaking and changing things about various components in the gun. While a few iterations have been controversial, like the internal keyed locking system added in the early 2000’s, the 686 shows the considerable refinement that Smith & Wesson is known for, and enjoys terrific popularity. The GP100 is descended from one of the most loved and successful U.S. service revolvers in history, Ruger’s own Security Six. Drawing from that gun as a basis, and blending a little DNA from its cousin, the .44 Magnum Redhawk, Ruger created something new: a robustly framed service revolver, one with no sideplate (like the Security Six) and featuring triple-locking of the cylinder, thanks to the lever arrangement of the crane borrowed from the Redhawk. In addition, Ruger dispensed with the traditional design of the grip on the frame, and instead created a sort of peg that holds the mainspring and hammer strut, and allows great flexibility in the size of grips, large or small, to be installed. Now that we have gotten to know our contestants a little bit better, let’s get our scorecards out and compare pertinent features. Today, you will find no great advantage of one over the either when looking at variety. Both manufacturers offer 6 and 7 shot versions. Both can be had with long or short barrels. Either are available in enhanced trim, with smoothed actions, accurized barrels and extended or smoothed controls, though Smith & Wesson has more custom variants available than Ruger from the factory, with their Performance Center lineup. Models with short barrels, aggressively textured grips and combat sights are available from either maker, and would be fine guns for general concealed carry. Longer barreled models with tuned actions can take full advantage of the .357 Magnum and give great performance as a hunting or home-defense gun. Whatever role you are looking to fill with a fullsize revolver, be it hunting, concealed carry, or general defense, both the 686 and GP100 have models to suit the task. The 686 is what you might call more of a traditionalist’s revolver: as mentioned above, its design is an echo of classic S&W heritage. It features a sideplate on the stainless-steel frame which is removed for service and disassembly, a conventional grip arrangement, and a flat mainspring. Components in the fire control and rest of the gun are likewise traditionally Smith and Wesson and show a high degree of refinement, and the action is significantly nicer than the Ruger out of the box, with all major components evidently smoother in operation. The GP100 was something of a departure from traditional revolver designs of the time, but benefits from it in several ways. The frame, lacking a sideplate and being over-built in typical Ruger fashion, is very strong compared even to the rugged 686. The entire gun, once the grip is removed, can be detail stripped with no sideplate removal required. Even the trigger group itself is removed as a unit from the bottom of the frame. The components of the action, while far from crude, lack the precise fitment and polish of the Smith and Wesson, but are similarly overbuilt like the rest of the gun. The GP100 is thought by many wheelgun aficionados to possess one of the strongest actions, if not the strongest action of any .357 Magnum revolver, and is capable of withstanding tremendous punishment. Like the 686, it is made of stainless steel. While the GP100 looks a little beefier than the 686, weight difference between comparable models is negligible, less than an ounce for 4” bbl. models. The stock 686 has a clear advantage over the GP100 here: out of the box, the trigger of the 686 is smoother, with noticeably less stacking and a cleaner break in double-action and a precise, short single-action pull. The GP100 trigger is approximately the same weight, but the travel is a little longer and feels heavier, with noticeable stacking about 2/3 of the way through the travel, with a little snag near the end in double-action, and a slightly gritty single-action break. This is partly due to the coil mainspring of the Ruger compared to the traditional flat mainspring of the S&W, and partly due to the superior overall fitment and finishing found on the fire control components of the 686. However, the Ruger action can be cleaned up significantly, and will improve through repeated use. Polishing of engagement and friction surfaces will do much for the GP100’s trigger pull. Nevertheless, bone stock, the 686 is better. If comparing enhanced guns, it is a dead heat, although Smith and Wesson still has an edge, but only just. Comparing the triggers of tuned variants of either will reveal excellent, smooth, light double-action pulls, and shiveringly short and crisp single-action breaks. Neither has any great advantage in the area of controls. The 686 has its cylinder release located immediately to the rear of the cylinder, in line with the bore, and is pressed forward toward the muzzle to release the cylinder. The GP100 has a release located in the exact same location, but is a button that hinges inward to release. Both are positive in operation and easy to operate. Any edge here goes to the S&W, as it can accept an extended “gas-pedal” type release that is easily actuated by the shooting hand thumb without breaking the firing grip. Not a tremendous advantage, but worth mentioning. Hammer spurs on both are well knurled, and easy to grasp. Sights vary on these guns depending on the model, but both can accept aftermarket front and rear sights, with the GP100 having a small perk here due to its easily uninstalled front sight. This is thanks to a clever spring loaded plunger arrangement, allowing a quick and simple change of front sight. Both have high-visibility and ruggedized options available from the factory. Both revolvers are capable of very good mechanical accuracy. 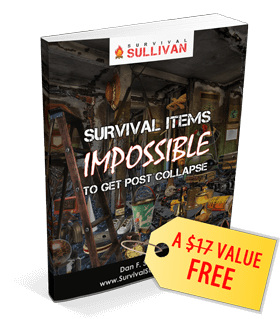 This author has shot many examples of each over the years in various configurations and found the accuracy of one to be on par with the other. The somewhat rougher trigger of the GP100 is a hindrance for fast, precise double-action work, though, and makes that accuracy potential harder to realize. I once had the opportunity to compare both the GP100 and 686 with 4in barrels, firing both from bench rests in single-action mode at known distance targets at 25 and 50 yards. I was able to produce groups in the 2” range at 25 yards and about 4” at 50 yards. This is admittedly a small sample size, but my research and experience with other examples of each has solidified my opinion that both guns will shoot equally well with appropriate loads. I recall a test conducted back in the late 1980’s, comparing the accuracy potential of the Ruger against the Smith and Wesson in a Ransom rest. For those readers unfamiliar with a Ransom rest, it is a heavy mechanical vise fitted with an insert to hold a specific gun with absolute steadiness, and is used predominately for accuracy testing by removing the human element from the equation. 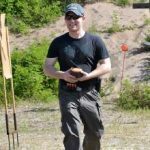 Each gun was tested with 20+ different loads for accuracy on a 25 yard target, and each gun with its best load grouped around ½ of an inch, with the difference between being measured in a couple tenths of inch. Certainly, if the shooter does their part and with proper load selection, either gun will deliver all the accuracy required for any endeavor. If I had to choose one, or make a decisive recommendation, it would boil down to degrees of advantage: The Ruger has a stronger action, but you should be honest with yourself if you have any need to take full advantage of that strength: if you are not shooting a constant diet of barn-burning maximum pressure loads through the gun, does it confer any benefit? The 686 is a highly rugged and durable gun, and will also withstand constant use of full-power .357 Magnum loads. The trigger is noticeably nicer on the 686 out of the box, but the GP100’s trigger is easily improved if you have the skills, patience, or money to see it done, bringing them much closer to parity. 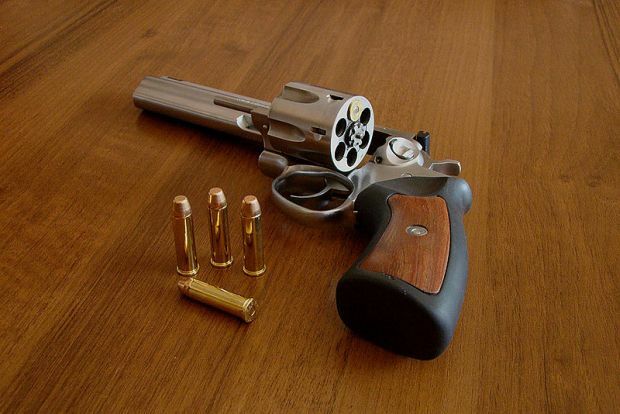 If you don’t care to immediately start modifying a new gun in order to enjoy the benefits of a nice action, the 686 would be the better choice, or you would be best advised to purchase an upgraded GP100. The stock Ruger is less expensive than the Smith and Wesson across most variants, usually by about a $100 or so, but if you are considering the cost of upgrading the trigger or purchasing a performance model to bring it to parity with the 686 per the above paragraph then the savings are nil. 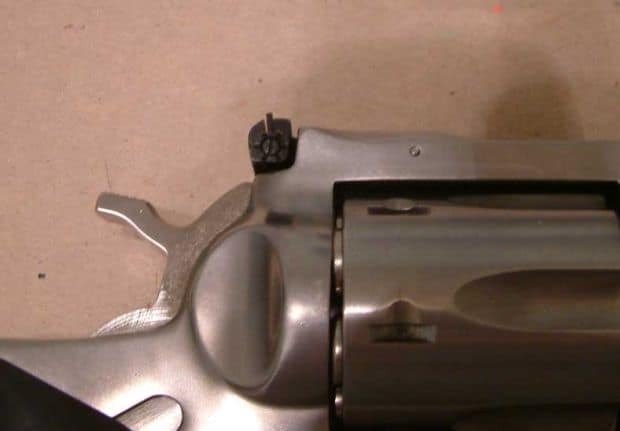 I myself would have the stock GP100 trigger improved, considering that a good DA pull is essential for fast and accurate shooting with a revolver as a defensive arm. 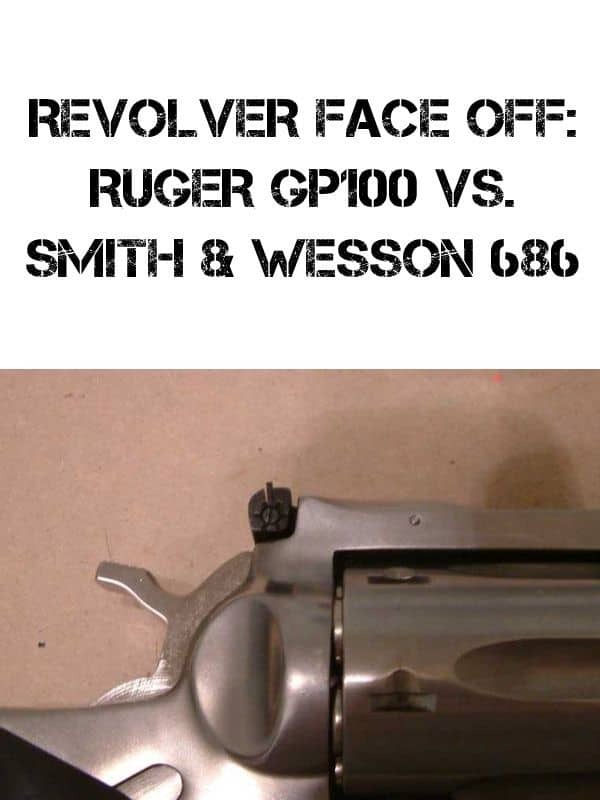 For the tinkerer without real gunsmithing skills, the GP100 may be a better choice, as detail disassembly and reassembly is somewhat simpler than the classic Smith and Wesson revolvers, and while it is the rare revolver whose parts require no fitting and adjustment for proper function, the design of the Ruger makes repair and correction of issues somewhat easier. As unpopular as this opinion might be, it is nonetheless mine that both of these revolvers are excellent and evenly matched in every essential category. Both will serve well in a defensive role, concealed or not, or for hunting and competition. For my money, I could flip a coin and be entirely satisfied with either. I would gravitate to the GP100, as I already have several big-bore .44 caliber Ruger revolvers and would prefer to keep my guns as similar as possible. That nomination is of course entirely preference, subjective, and in no way a slight to the 686. Whichever one you choose, you have my assurances that both are excellent examples of their class, and this is a rare, rare case where you could make a purchase based on aesthetics alone and still arrive home with a great gun. These two icons of the American revolver are in truth so closely matched as to be two sides of the same coin. If you prefer the no-nonsense design of the GP100 or the timeless, refined mechanism of the 686, both are deserving of your dollar, and your trust. Even in this age of the polymer striker-fired pistol, the wheelgun endures, and the two discussed here are among the very finest for serious shooters. So which is your favorite? Or do you go the third way with a Colt? Let me know in the comments! Next Freeze Dried VS Dehydrated Food: What’s The Difference? The first most important thing about any firearm is it must feel good in your grip! This applies to handguns, long guns shotguns……whatever. The KGP-100 felt GREAT in my hand and no need for different grips. I have a First Generation KGP-100 4 inch bull barrel/full shroud adjustable sites. I can place a dime on the front of the barrel behind the front site and dry fire DA and the dime does not move. No Gun Smith has ever touched any internal parts. You fail to mention that one can polish the action of the GP-100 by lots of dry firing. It does not hurt the pistol because of the transfer bar. One can shoot 500-1K of rounds (like in a semi-auto) will do a lot of polishing and you do not need any gun smithing or special tools or any tools at all. 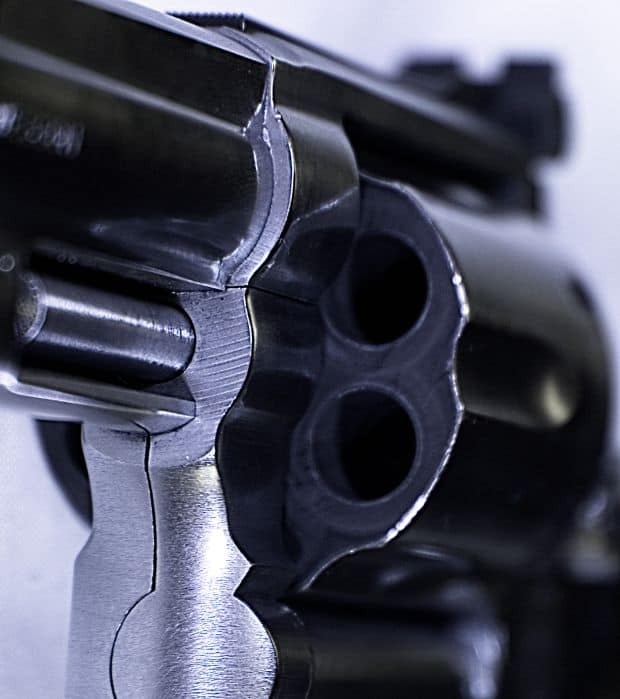 A combination of both and depending on the time you take live fire and dry firing in both single and double action modes you can have the polishing done in very little time. I prefer Rugers and normally give them the edge FOR MY PURPOSES…..which may vary but I want the strongest and toughest and most reliable at reasonable cost that fits my grip or in my arms I can get….NOT because I do a lot of shooting or with normal or HOT Loads. But because IF I am out in the middle of nowhere and everything I have with me I need to trust it will not break and is pretty much MISTER MURPHY Proof! That does not mean that all the rest out there are not MISTER MURPHY Proof……It means I buy what I prefer and what I want, fits my hands or my arms with long guns, that works for me. In general if it feels GREAT and is reliable, consistent, and accurate, and works for you, I have to say if it is not broke it does not need fixing! How can you improve on such a weapon? Other than say going from a single shot to something else for example. I have a question about Colt and the Pythons………..I have heard that at least for a short while Colt was producing some Pythons with internal parts that were subject to breakage. 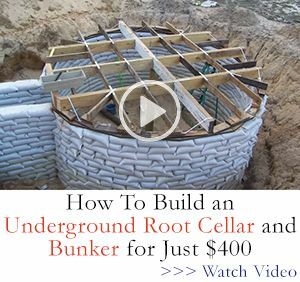 Anyone have any info on this? just the fact that you can field strip a GP100 and truly clean the trigger group win’s it for me. you only 1 special tool to fully disassemble a Ruger double action revolver. and that tool is a screwdriver blade with a hole EDM in it to remove the ejection rod. I have had to remove the side plates on a S&W and do not look forward to doing that again anytime soon. If Smith & Wesson would get rid of that internal lock I would buy their revolver. I just don’t like the fact that there is another potential for problems with the gun’s functioning. I have a GP-100 and it is my favorite range handgun. I have owned all the Glock 9mm’s (G43, G26, G19, G17, G34), Ruger LC9S, Sig P238, SP101, LCR38, Ruger MarkIII 22/45, Walter PPK/S, Ruger LCP, LCP Custom, and S&W 642 PC Enhanced Action (no IL). Of all these, I still enjoy my GP-100 the most for range shooting. 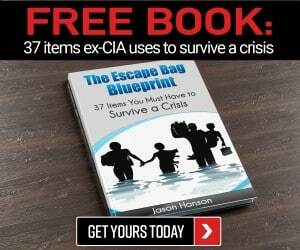 For carry I use my 642. Everyone has their opinion, and, thankfully, the gun manufacturers have produced firearms that fit most people’s preferences and needs. You know…., when I pick up Smiths and Rivers at my LGS I’m just not seeing the “Smith triggers are much bettt” thing. I’ll pick up a 686 plus and right next to it a GP100 Match Champion and im liking the Ruger trigger better. Right next to both of them is a Redhawk in 45 Colt and it’s better than both and then I pick up a Ruger LCR and it has the best double action trigger of any revolver in the store. Maybe it’s just me, but I’m not seeing it. Were Smith triggers better in the past, All the guns I’m talking about are new? I believe out of the Box the S&W trigger is slightly better. But over the past 10-15 years S&W quality appears to have decreased. The Ruger is a modern Revolver and the Smith a bit antiquated. The Ruger Trigger is a very good trigger and can be improved with some simple DIY work. Easy to take down with a simple pin that is included in the grip. S&W has history on their side…Ruger has technology and innovation for a more rugged and reliable firearm.